International trade, multinational firms, and regional trade agreements. Maggie Xiaoyang Chen is a professor of economics and international affairs at George Washington University. 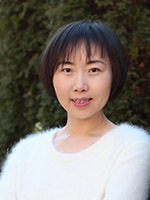 Professor Chen's areas of research expertise include foreign direct investment, international trade, and regional trade agreements and her work has been published in leading academic journals. She has worked as a trade policy advisor at the U.S. congressional Budget Office leading policy analyses on the Trans-Pacific Partnership Agreement, an economist in the research department of the World Bank, and a consultant for various divisions of the World Bank and the International Finance Cooperation. She is also a co-editor of the Economic Inquiry. Professor Chen received her Ph.D. and M.A. in Economics from the University of Colorado at Boulder and her B.A. in Economics from Beijing Normal University.